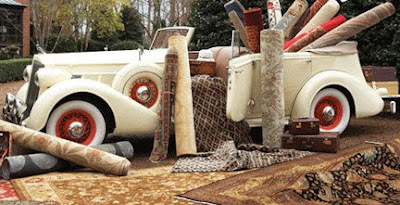 Sometimes I wish I had a basement, attic or even a car filled with all kinds of rugs so I could change the look of my house on a whim. 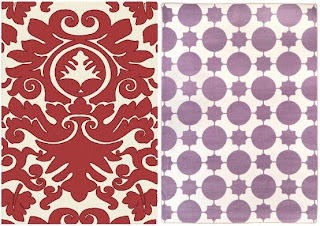 Black and white graphic ones...to bold colored ones. They have them all! What do all of these rooms have in common, besides being amazing? They all have a zebra print rug! Want your own zebra print rug? Well, RugsUSA just happens to be giving one my lucky readers this beautiful zebra print rug! Remember anyone can enter you don’t need to have a blog to do so, but unfortunately I can only ship this rug within the continuous 48 states- so sorry. Give-away will end Monday May 31st @ midnight EST when I return from Nantucket. This is an awesome giveaway! Thank you so much! Have a great Memorial Day weekend! Love the rug! Great giveaway! I've been dying for a zebra print rug! Yahoo!! 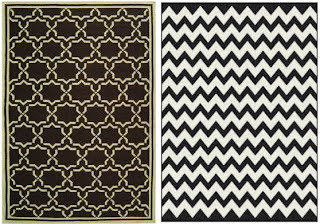 I need an rug and have had my eye on the black and white chevron patterned one!! Love the rug! Have fun in Nantucket! Every girl needs a zebra print rug. Love it! What a great rug. I know I could find a good home for it! Following you on GFC. Enjoy your weekend! 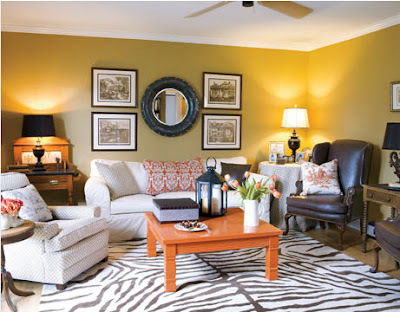 I love this zebra rug, perfect wherever it goes! Hope your holiday weekend in superb! I am a follower and adore anything zebra print!! Thanks!! I love this rug! What a great giveaway! Love it! I am moving to live by myself (for the first time!) in August and this would be perfect in my new place! Great giveaway! I'd love to work that into our home! I'm a follower! Great giveaway - thanks! Hope you're having a good time on your vacay. This zebra rug is sooo FUN! This would look great in my current project. I've been a lurker, now I'm a follower, great giveaway! I'm not one to go crazy bold in my decor, but this zebra rug seems just the thing to spruce up my space and get me excited to start being BOLD! Love it thanks. Fantastic giveaway! Every house could use a little animal print. I really like how the zebra rug works with pops of color. you can dress it up or down and it is super cool! 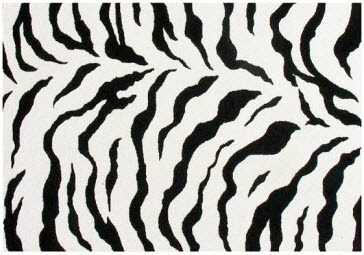 LOVE, LOVE, LOVE Zebra Rugs! Dying for that rug! So are zebras really black with white stripes or opposite? What a cool rug! It would totally spice up my boring living room or bedroom. 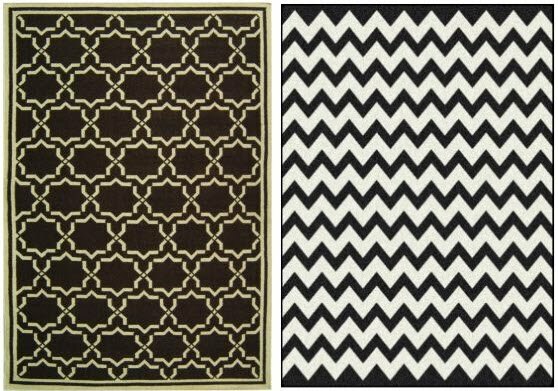 I want/need/have to have this rug! Adore the rug. Picturing it in my future dream apartment. Even though Miss Golightly didn't do much with decor, the rug seems rather Breakfast at Tiffany's to me... http://blogs.stylebible.ph/previewblog/wp-content/uploads/2009/01/breakfast-at-tiffanys-12-52.jpg Maybe because it goes well with a little black dress? I love zebra print! So graphic and cool. What a great giveaway! I am helping my sister decorate her first place and this would be perfect in her space. Crossing my fingers! What a fabulous rug! It would look great in my living room- crossing my fingers! Great giveaway! 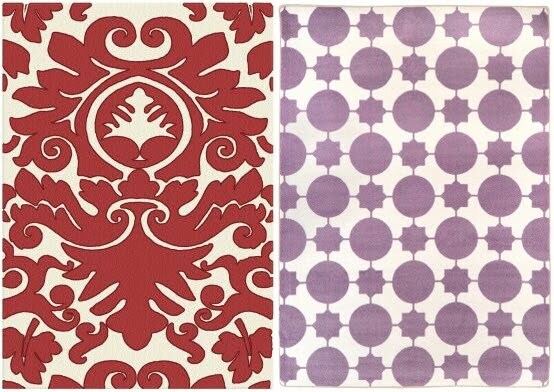 These rugs are so cute! Love this give away! Thanks! I'm a follower! I have been debating the whole zebra thing as where to put in my home. This giveaway is amazing! I have the perfect place for it! 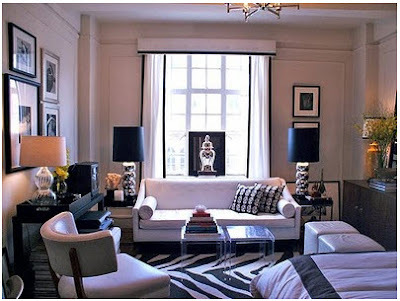 I would love a zebra print rug! I just became a follower. count me in ! crossing my fingers -- otherwise i'll be heading to ikea..
Love it ...great give away! What a great rug! Love the zebra print. This is a fabulous giveaway. LOVE zebra print, especially on a rug!!! mm this rug would look great in my apartment! Zebra is the one thing missing from my life and my home...maybe you can change that! I recently found your blog and love it! thanks! Oh wow, what a great giveway....I am keeping my fingers crossed! Hope you are having a wonderful holiday weekend. Wow! Awesome giveaway! This would look great in my boys' play room. Thanks! What an awesome rug! It would be so fabulous in my daughter's new playroom when we move. Perhaps I am too late --but maybe not, cause I would love to win this give-away! Who couldn't use a zebra rug in their home?! 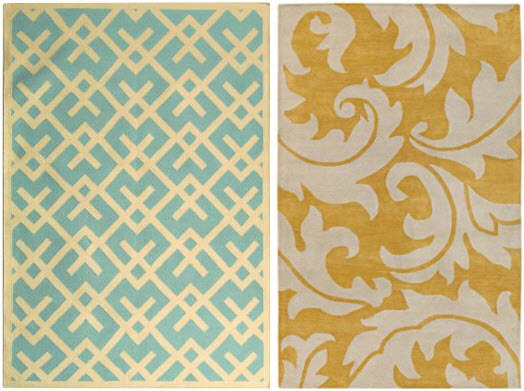 I am definitely a follower and I love the rug! So fun! 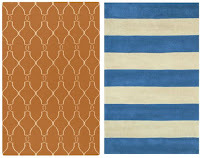 RUGS USA has some really great deals on animal print rugs and a great selection too!